With the thirty-ninth G8 Summit soon to be held in a quiet corner of County Fermanagh in Northern Ireland, not too far from where I live, I got to thinking that there’s probably lots of people who know little about this county. They likely were never really interested before but they might just want to know a bit about it now. So I got together several articles that I had written for an Irish magazine about people, places and institutions in the county and I put them together in a short collection, Fermanagh Gems. County Fermanagh has pretty and sometimes dramatic landscapes, a rich history and talented local artisans. For these six articles I selected several gems: a natural wonder, enduring or innovative institutions and a gifted craftsman. Some are well-known, others might be called hidden gems; I wrote about each of them because I felt they deserved to be allowed to shine. Each of the articles in Fermanagh Gems is a snapshot of a Fermanagh place, institution or person at a significant moment in its existence. In my writing I visited Marble Arch Caves on the twenty-fifth anniversary of the opening of its show cave, Belleek Pottery on its 150th anniversary, the Graan monastery during its centenary year, Headhunters Railway Museum at the end of its first decade and Frankie McPhillips, a craftsman who has carried on the Irish fly-tying tradition for the past thirty-five years. Together I hope these articles will give readers a glimpse into Fermanagh life. 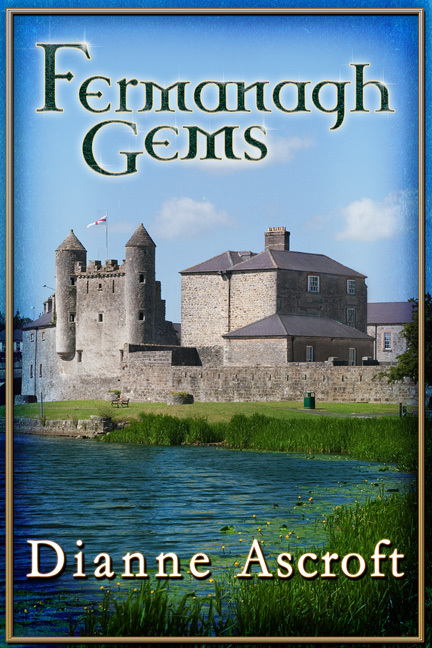 Fermanagh Gems is available as an Amazon ebook. This entry was posted in April 2013 and tagged Belleek Pottery, Fermanagh, Fermanagh Gems, Frankie McPhillips, G8 Summit, Graan Monastery, Headhunters Railway Museum, Marble Arch Caves. Bookmark the permalink.